I loved Orange is the New Black… the Netflix series. I “binge watched” the show in about four days, and I thought it was brilliant. Indeed, several actresses from the show have stayed with me in the months since I watched the show. 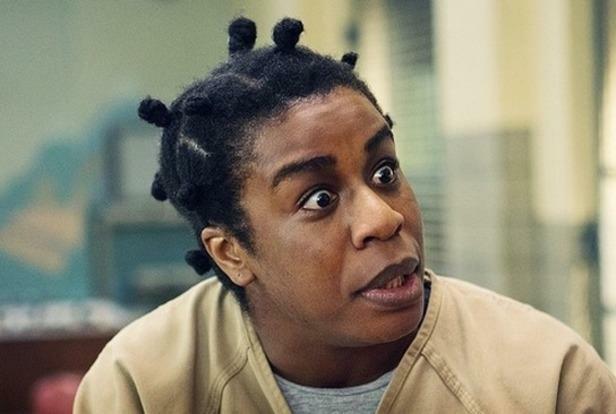 Uzo Aduba, who played “Crazy Eyes,” was my favorite character. I cannot wait to see her in more roles. 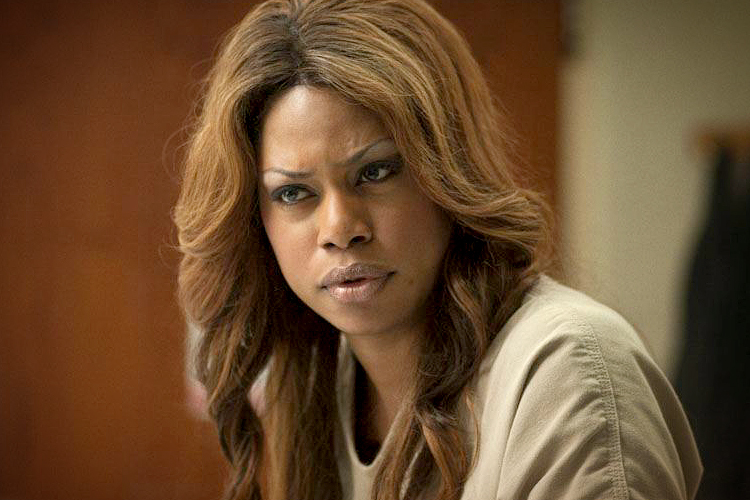 And then there was Laverne Cox, who played Sophia Burset, the transgender inmate. What a beautiful soul. The character, I mean. But then I watched this video of Cox being interviewed on “Totally Biased,” and I realized that Cox the actress is all that and more. In the interview, she says she’s not comfortable with the term “role model.” She is a “possibility model.” Think about that for a moment. There’s a difference, and it’s very smart. I connected with her story of being sent to therapy when she was eight, after a teacher called her mother and warned that this little “boy” would be out on the streets of New Orleans wearing a dress if she didn’t go to therapy. It reminded me of going to therapy when I was about the same age. I wasn’t quite right, either. I also had to overcome the feeling that somebody needed to fix me. Because why else would I be sent to a doctor? Listening to Cox, her belief in herself today shines through. She overcame that. I overcame that. In that way we are connected. I love that. I was fascinated by Cox’s point that she loves when people recognize her on the street, but that she’s freaked out when people try to touch her. This, she explains, is based on her experience as a trans woman. Her fear of violence. Her need to protect herself. That’s not something I’ve ever thought about. As a cisgender gay man, I haven’t had to worry about people trying to hurt me simply for being who I am walking down the street. Not exactly true; gay people do get beat up. But the difference is, I can pass. For straight. Laverne Cox doesn’t have that experience. For her to be who she is, she must appear opposite of the gender she is expected to be based on her birth. How did I not get that? I mean, it seems very simple, but I’d never really put that together before. How challenging must that be, to have your struggle for authenticity require you to go against customs in a way that is always visible? This is why it’s so important for us to try to walk in each other’s shoes. Now that I know that, I’ll have a better understanding of what trans people have to go through. “For me, it’s been all about self-acceptance,” Cox says in the interview. Isn’t that what it’s all about for all of us?